[PDF] Between Flesh and Steel: A History of Military Medicine from the Middle Ages to the War in Afghanistan | Free eBooks Download - EBOOKEE! Description: Over the last five centuries, the development of modern weapons and warfare has created an entirely new set of challenges for practitioners in the field of military medicine. 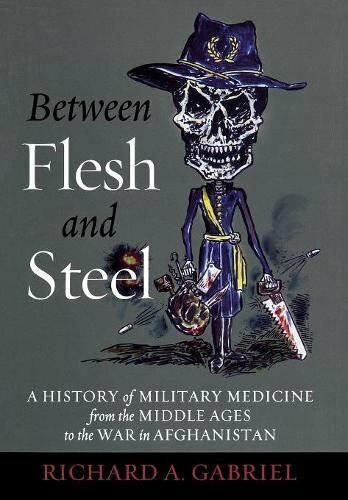 Between Flesh and Steel traces the historical development of military medicine from the Middle Ages to modern times. Military historian Richard A. Gabriel focuses on three key elements: the modifications in warfare and weapons whose increased killing power radically changed the medical challenges that battle surgeons faced in dealing with casualties, advancements in medical techniques that increased the effectiveness of military medical care, and changes that finally brought about the establishment of military medical care system in modern times. Others topics include the rise of the military surgeon, the invention of anesthesia, and the emergence of such critical disciplines as military psychiatry and bacteriology. The approach is chronologicalâ€”century by century and war by war, including Iraq and Afghanistanâ€”and cross-cultural in that it examines developments in all of the major armies of the West: British, French, Russian, German, and American. Between Flesh and Steel is the most comprehensive book on the market about the evolution of modern military medicine. No comments for "[PDF] Between Flesh and Steel: A History of Military Medicine from the Middle Ages to the War in Afghanistan".